After an intense day of taking dreary notes, waiting around at a bus stop, or a night of tossing and turning, for some, energy drinks are all they can turn to. Energy drinks are produced under many different names, including NOS, Bone Chillin’ Energy Drink, and Red Rain, each bearing a variety of interesting ingredients. “Energy drinks can give you a heart attack,” and “energy drinks are really bad for you,” are two speculations regarding the outcome of these sugary drinks; there are many more. Jane decided to fabricate her own energy drinks, including many of the properties found in popular energy drinks today. The properties we investigated were Taurine, Caffeine, Ginseng, Guarana seed, Vitamins B2/3/5/6/12, L-Carnitine, Inositol, and Ginkgo Biloba, to prove whether or not energy drinks are bad for you. Jane and I read the medicinal ingredients, and sugars, for many different energy beverages. Furthermore, we sampled three brands; NOS, Bone Chillin’, and Red Rain. We examined the ingredients. 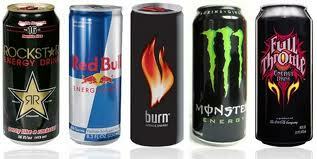 The two most previous energy drinks contain Fructose sugar, coming from citrus and tropical fruits. A re-sealable NOS energy drink of 650mL contains 2750mg of Taurine, which is an amino acid stored in muscles and the central nervous system. Taurine is considered a non-essential amino acid because the body can make it from methionine and cystein. It can also be found in milk, eggs, and animal proteins, like chicken, and beef. Taurine is a potent antioxidant, and lowers blood pressure, LDL (“bad” cholesterol) and triglyceride levels. Taurine helps regulate heart beat and muscle contractions, which is why consumers of energy drinks often have increased heart rate, which also gives them the urge to move, or run. Side-effects of high doses of Taurine, like in most energy drinks, results in the shakes. 500mL of Red Rain energy drink contains 2000mg of Taurine. 1873mg of Taurine is found in 473mL Bone Chillin’ energy drink. Bone Chillin’ energy drink, as well as the other two, also contain Caffeine, and Vitamin B12. NOS, being the largest in volume, unsurprisingly contains 343mg Caffeine. Bone Chillin’ contains 142mg of Caffeine, and Red Rain has 80mg. Caffeine contains acid, harming the intestines; this is what makes people feel nauseous, when they consume energy drinks too much, or too fast. Headaches are sometimes caused by too much caffeine, but it is a stimulant, and so leaves you feeling alert. Caffeine is safe in low doses, but it is not needed for the body. Vitamin B12 helps with the functioning of the brain, and nervous system, and is involved in most metabolic processes of cells, particularly those of DNA (the forming of blood), energy production, and fatty acid synthesis. Meats, like fish, liver, pork, and beef are all good sources of Vitamin B12, as well as milk and cheese. 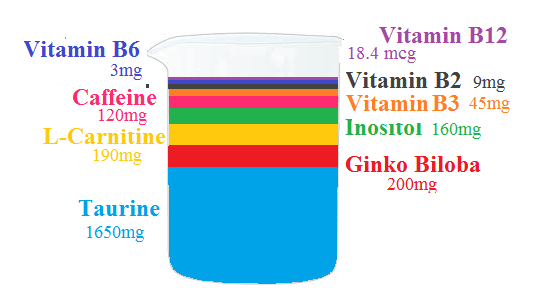 NOS contains 16.5mcg, Bone Chillin’ contains .60mcg, and Red Rain contains 5mcg of Vitamin B12. There are many other B vitamins in energy drinks, including Vitamin B2, Vitamin B3, Vitamin B5, and Vitamin B6. Bone Chillin’ energy drink contains 3mg of Vitamin B2 and 31mg of B3, which stimulate skin, nail, and hair growth, the breakdown of protein, fats, and carbohydrates, correcting high cholesterol and the prevention of heart disease. Milk and green leafy vegetables, are both good sources of Vitamin B2, and B3. Red Rain and Bone Chillin’ contain Vitamin B5, and they all contain Vitamin B6. Another name for Vitamin B5 is Pantothenic acid. This acid is vital for human growth, reproduction, and . Too much Vitamin B5 (10-20mg) causes diarrhea, but Red Rain only contains 5mg, and Bone Chillin’ has 6mg, making both completely safe options. Vitamin B6, on the other hand, can cause nerve problems, and because the safe limit is unknown, even a small amount could be harmful. All three of these energy drinks sampled contain Vitamin B6; NOS contains 5.5mg, Red Rain contains 5mg, and Bone Chillin’ contains 3mg of Vitamin B6. 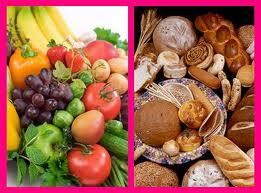 Vitamin B6 is important in energy beverages, because they help absorb carbohydrates and proteins. Although there aren’t as many B vitamins in energy drinks as other ingredients, their little jobs go a long way in preparing your body for the jolt of energy to come. Some of the other energy drinks we looked at contained some of the previously mentioned properties, as well as common ingredients like Ginseng, L-Carnitine, Inositol, and Ginkgo Biloba. Ginseng is a root that is believed to enhance memory and cognitive functioning, like reasoning, and concentration, boost energy levels, lower blood sugar, and increase “good” cholesterol. Despite the many positive reasons for consuming ginseng root extract, the side effects include nervousness, insomnia (which can lead to psychotic episodes) when taken in large doses, interference with blood-thinners, and allergic reactions, like asthma-attacks. The amount of ‘active ingredient’ in supplements can vary from brand to brand, therefore it isn’t recommended for children, pregnant, or nursing mothers. L-Carnitine is an amino acid that plays a role in fatty acid metabolism. It is also an antioxidant with anti-inflammatory properties, which improves fatigue and lipid metabolism. Inositol is a member of the vitamin B complex, but it is not an official vitamin because the body can synthesize it. Inositol prevents excessive fats in the livers, promotes hair growth, and nourishes the brain. It is important in enegry drinks, because it converts nutrients from the body into energy. Ginkgo Biloba is made from the seeds of the ginkgo biloba tree, which enhance memory, concentration, and circulation. Ginko Biloba is so useful that the German government recognizes it as something that helps with memory loss, concentration, and depression. This seed extract can be taken in a small dose, like 60mg, or a large dose, like 240mg, without causing substantial harm. However, possible side effects include headaches, dizziness, restlessness, blood-thinning, and diarrhea. For this reason, it is recommended that one doesn’t consistently consume large amounts of Ginko Biloba. Guarana can be found in popular brands like Amp, Rockstar, and Talon; Ginseng is in Amp, Talon, and Monster; Inositol can be found in Monster and Talon drinks. L-Carnitine and Ginko Biloba are ingredients in Monster and Rockstar energy drinks. In conclusion, we weighed the benefits against the side effects, and chose how much of each ingredient we’d need for our energy drink. We chose to make our energy drink 473mL, to match the size of Bone Chillin’ energy drink, Amp, Monster, and more. Unlike the other energy drinks, however, we chose to incorporate a little less Taurine, to discourage the shakes, and anxiety attacks. Because vitamins B12, B2, and B3 are not dangerous, even in excess, we included higher-than-average levels. Vitamin B6 is important, as previously mentioned, because it helps prepare your body for adsorbtion of the carbohydrates and proteins, which is why we stuck in a mid-range volume of Vitamin B6. Inositol is included, in a mid-range dose, to nourish the brain, and help convert nutrients into energy.We included a slightly lower level of Caffeine, and balanced it off by adding more L-Carnitine, to improve fatigue. We reduced the amount of Caffeine so our clients don’t feel nauseous, or obtain headaches. Another reason we added L-Carnitine to our drink is because it is an antioxidant with anti-inflammatory properties; this would help fight side effects. Ginko biloba is a perk in our energy drink, because it enhances memory and concentration. Throughout our investigation, Jane and I discovered many ingredients with numerous health benefits, and a few items with alarming side effects; the key for energy drinkers is to know yourself, and know your health, before dousing your body with unknown chemicals. Louis Riel died at age 41 on November 16, 1885 inRegina, where he was executed for treason. Riel was born on October 22, 1844 to Louis Riel Sr. and Julie Lagimodiere, in the Red River Settlement, St. Boniface (Winnipeg). Riel first left home at the age of fourteen to study for Priesthood. He was funded by Archbishop Tache of St. Boniface, a generous patron who saw Riel as a serious and gifted student. Riel was faithful student, and scholarly; he spent his spare time composing poetry, with lines such as this: “ in pain he consumes his days, a brim with bitterness.” Riel was thought to be a misunderstood hero. Riel replaced the current President of the Provisional Government in 1869, continuing on to help pass the Manitoba Act, which allowed First Nations entitlement to the land that was already in their possession. Although the Government of Ottawa disagreed with Riel’s choices, he was a brave man. In 1872, Riel traveled toSt. Paul,Minnesotaon a voluntary exile, to reduce the tension betweenQuebecandOttawaduring the time of the Red River Rebellion. In 1881 Riel moved toNew Yorkwhere he met and married his wife, Marguerite Monet, and they continued on to have three children. Riel obtainedU.S.citizenship in 1883, and moved toMontana, where he began his teaching career in 1884. December 8, 1875 was a major turning point in Riel’s life. After attending a mass inWashington,D.C., Riel had a vision of himself being anointed as a prophet of the new world. Rather than being an exiled man, and a failure of a political leader, he now viewed himself as the voice of God, a thread of hope for his Metis people. Riel’s body was released to his mother inManitoba, with the assurance that there would not be a formal burial. Death Penalty: The pre-meditated and planned taking of a human life by a government in response to a crime committed by that legally convicted person. What is the point of the death penalty? To remove someone from society that cannot properly rehabilitate? To try to discourage criminals from committing crimes? To punish the criminal rightfully? Or is it an attempt to raise justice on behalf of the victim? Maybe we only wish for the death penalty to be legalized in Canada so we can sleep soundly knowing anyone that commits a crime will be punished in the most severe way. This is wrong. Killing someone isn’t going to make things better, it’s only going to cause more harm. If the convicted person(s) are put to death, it isn’t going to turn back the hands of time, people will still be lost, and crimes will still be at large, it’s only creating one more death, and countless hours of tears, struggle, and strain for everyone involved. We could put the criminal in the highest security prison available, and just leave them there to live life knowing all that they have done, and how it’s effecting the people around them, but instead we choose to kill them, and let them go without having to really appreciate what they did. By killing them we’re basically just causing their family and friends anguish. Since 1989 there have been tens of thousands of cases where a person has been convicted, and sentenced to wait on death row, only to be released when a proper DNA test proved them to be innocent. 33% of cases were closed due to lost or missing evidence. This shows that the government doesn’t properly collect information regarding cases, and if they can’t even do that, how are we supposed to give them the grant to kill people? We’re risking our own lives in an attempt to protect ourselves. People have been executed that did not directly kill a victim. As is the case of Doyle Skillern, from Texas, executed on January 16, 1985, for the murder of an undercover narcotics agent, although he was waiting in a car nearby when the murder took place. The shooter is serving a life sentence, but eligible for parole. Innocent people have been wrongly accused, and in the case of Robert Fratta, who had been proven guilty for allegedly arranging his wife’s murder, they have been charged because they don’t have enough financial support for a better lawyer. Many innocent people die every year because of false accusations. By refusing the death penalty in Canada, we’re actually saving more lives. The Death Penalty is the ultimate denial of Human Rights. It is cold-blooded killing of a human being in the name of justice. It violates the right to live. There can never be any justification for torture or for cruel punishment, and death does not solve any problems.Many states believe that when an innocent person is put to death, it can be viewed merely as an accident, but then couldn’t a person killing a victim be seen as an accident as well? Many judges faced difficult decisions when the death penalty was active in Canada twenty years ago. Several admitted to feeling great pressure, seeing as they were compelled to make life-or-death decisions. This could have influenced the judge’s final decision. If someone’s fate rested in your hands would you really want to submit them to death, especially if you didn’t believe the death penalty was a valid punishment? Contrary to popular belief of death penalty supporters, the homicide rate actually declined after abolition on July 14, 1976. (from 2.8 per 100,000 to 2.7).The House of Commons passed Bill C-84 on a free vote, abolishing capital punishment from the Canadian Criminal Code and replacing it with a mandatory life sentence without possibility of parole for 25 years for all first-degree murders. Do YOU believe the Death Penalty should be active in Canada? What crimes should be worthy of the death penalty? Would retaining a death penalty will be beneficial to Canada?